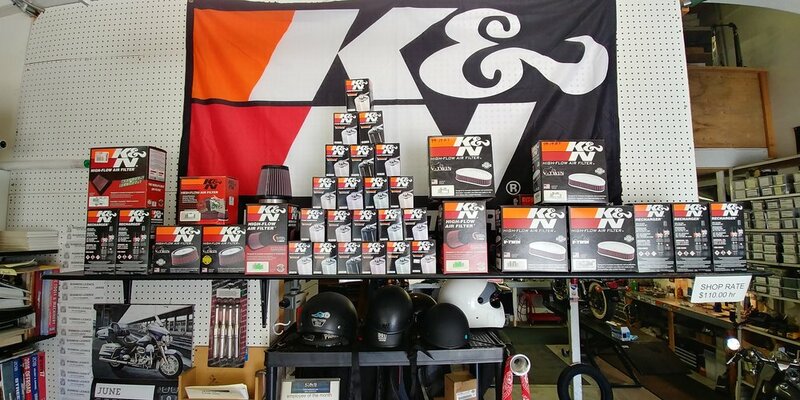 From batteries, tires and other basics you need replacing we also offer speciality parts and accessories along with professional installation services. 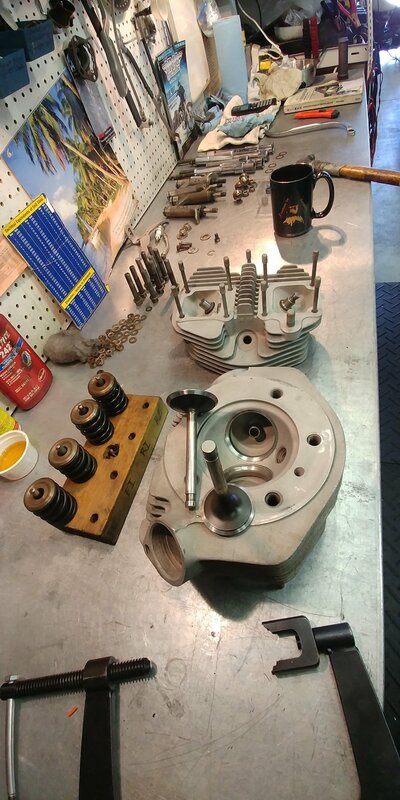 Offering a large selection of parts and accessories C&S Cycle can assist you with customizing your motorcycle. If we don't have the parts you are looking for in in stock, we can get it for you - let us help you design your dream ride. 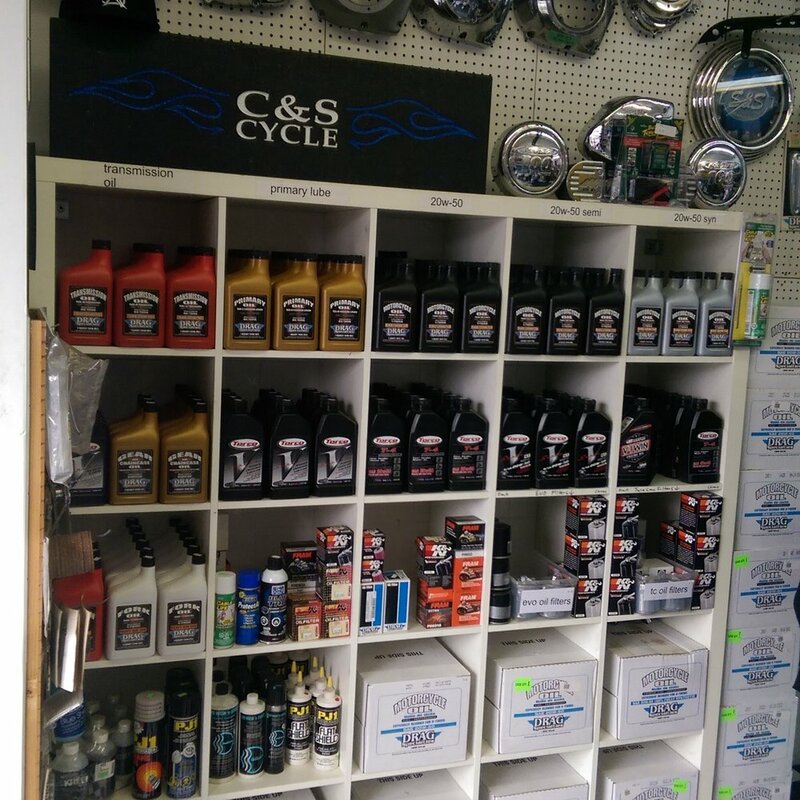 Give us a call or stop by and enjoy friendly service for all your parts and accessory needs. We deal with S&S, Revtech, Merch, Baker and other top-notch suppliers. 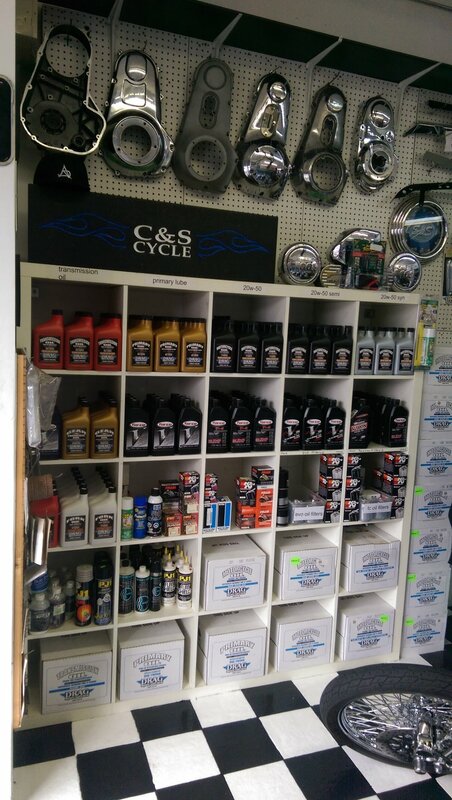 Parts Canada is one of our main suppliers, if you see what you want in their online catalogue we can order it in for you.